A full paper about Unfolding | Cluster (an installation about ALS) was presented at the SoniHED Conference in York. You can download the full PDF here. Unfolding | Clusters is a music and visual media installation modeled from published scientific data related to the pathophysiology of amyotrophic lateral sclerosis (ALS). The work aims to create an engaging multimodal experience useful for raising awareness in the greater public about the disease and its scientific process. This paper describes the motivation behind the adoption of a musification approach and the musical criteria applied to the data mapping process. Details regarding the mapping structure are illustrated in relation to the different phases of the progress of the disease. The results are then discussed, noting that adopting a musification approach not only helped in obtaining a more engaging audience experience but also in providing expressive solutions that would be useful for modeling other complex biomedical data and processes. From June 30 to July 3 I’ll be at NIME, the International Conference on New Interfaces for Musical Expression, which is taking place at Goldsmiths, University of London. The whole programme is really good this year, see you there! Presenting at MOCO’14, Ircam, Paris. On 16th and 17th I’ll be at Ircam in Paris for MOCO’14 – International Workshop on Movement and Computing. I’m presenting a paper co-written with Rodrigo Schramm entitled Gesture in performance with traditional musical instruments and electronics – Use of embodied music cognition and multimodal motion capture to design gestural mapping strategies, which will be soon available for download through the ACM Conference Proceedings Series. UPDATE: you can now find it in the ACM Digital Library. Here’s the bibtex entry. 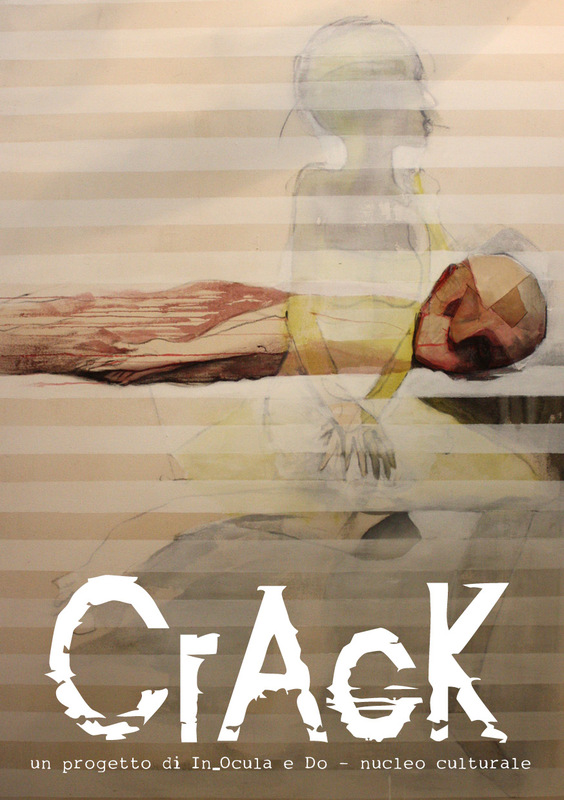 I’m co-leading CrAcK, a one-month exchange project with the Middle East organized by In_Ocula, a contemporary theatre company based in Faenza. The project started on the 15th September when two artists from Beirut (Rabee Kiwan, painter and Ayman Nahle, video maker) arrived in Faenza to work with us on a live multimedia performance. My role in it is to design the sound of the performance and to find ways of interaction across the different media involved. This Saturday, 5th October, the results of the first three weeks of work will debut at MIC – Museo Internazionale delle Ceramiche in Faenza with two shows, at 19.00 and 20.00. 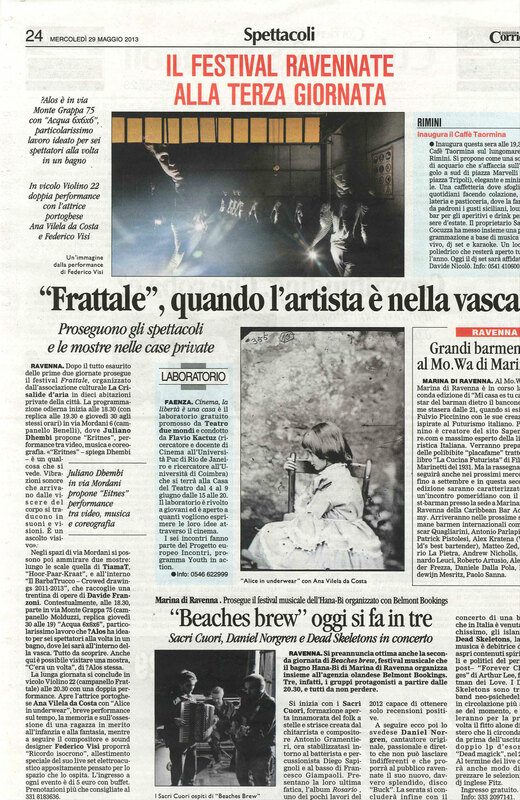 Following that, In_Ocula will hold workshops for the students of the Academy of Fine Arts in Bologna and perform CrAcK once again there. 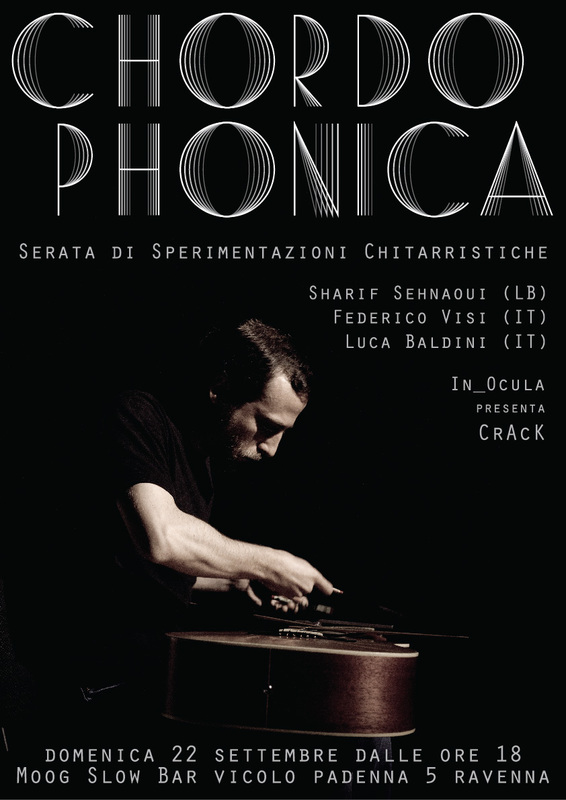 I’ll be playing at Moog in Ravenna on Sunday 22/9/2013 for CHORDOPHONICA, a night dedicated to experimental guitar playing. I will share the stage with two friends, Sharif Sehnaoui (pictured) and Luca Baldini. This weekend I’m going to present a new live set at WAM! Festival. My gig will be on Sunday night, h 23. I’ll be there also with in_Ocula for Mind Bombing. Check out the program! This weekend I’ll be attending the Wireless sensing for music, environments, and performance with Sense/Stage workshop at STEIM in Amsterdam. Sense/Stage is a low cost, open source wireless sensor infrastructure for live performance and interactive, real-time environments. STEIM is the STudio for Electro-Instrumental Music, an independent electronic music center unique in its dedication to live performance. The foundation’s artistic and technical departments support an international community of performers, musicians, and visual artists, to develop unique instruments for their work. 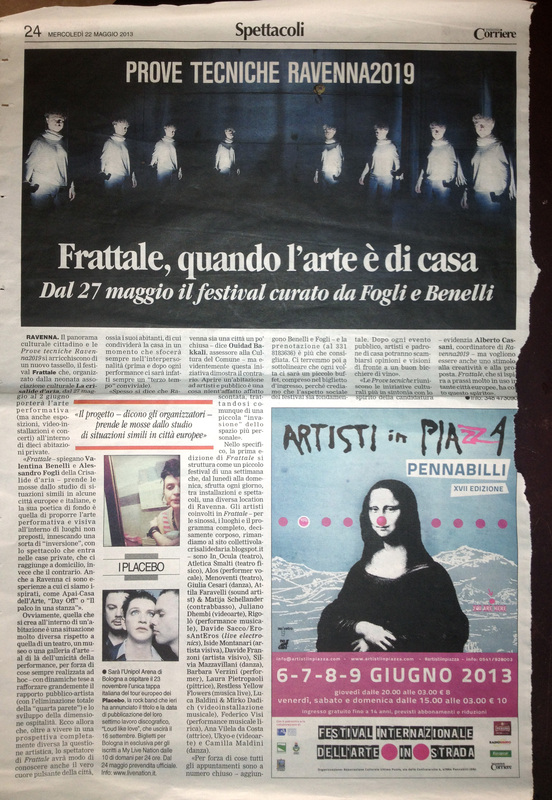 Here are some photos from “Ricordo Isocrono” my performance at Festival Frattale 2013. “Ricordo Isocrono” è una performance musicale e visiva pensata appositamente per uno degli spazi di Festival Frattale. Un set di musica elettroacustica si intreccia ad immagini di un recente passato che trovano una nuova isocronia con l’atto performativo, nel qui e ora. Le componenti visive, sonore e spaziali si sovrappongono, sostenute da una tela di rimandi narrativi e gestuali. Mercoledì 29/5/2013. Ravenna, Vicolo Violino 20.